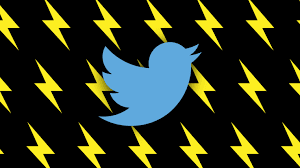 Twitter said Tuesday said it would make it easier for users to build “tweetstorms” by linking together posts in “threads” to expound at length at the famously short-form messaging service. The move comes just a month after Twitter rattled the twitterverse by doubling the limit for tweets in most languages to 280 characters, in a bid to draw in more users and boost engagement. It was the first time the character cap was raised since Twitter was founded. “A few years ago we noticed people creatively stitching Tweets together to share more information or tell a longer story,” product manager Sasank Reddy said in a blog post. An “add another tweet” button is being added to the Twitter application, along with a “show this thread” label that can be clicked to see posts woven together by authors. Threaded tweets will be published at the same time, but more posts can be added, according to Reddy. “Launching tweetstorms/thread today,” Twitter co-founder and chief executive Jack Dorsey tweeted from the firm’s San Francisco headquarters. Many replies to Dorsey’s post called on Twitter to focus on dealing with extremists, trolls, and “bots” abusing the service instead of packaging tweets together. “This will make some of the thoughtful longform posts on Twitter more accessible to a broader range of people. Good,” read a reply to Dorsey from a verified account of venture capitalist Chris Sacca, whose investments included Twitter. Threads will be rolled out in an update to Twitter in the coming weeks, according to Reddy.